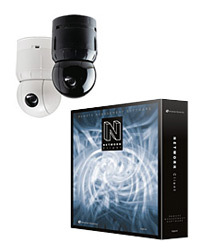 American Dynamics products are the world's most widely adopted line of video-based security and integration solutions. 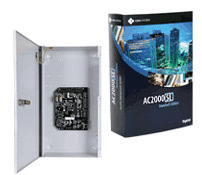 Most of the top Fortune 500 companies choose our products to protect their assets, information and people. Our technology, while market-driven, is developed with the security professionals throughout the industry in mind. Our award winning Intellex revolutionized digital video recording and Intellex IP adapts this leading edge technology for network video. Our programmable dome cameras are sophisticated in design, seamlessly integrate with other products and are easy to install. Our matrix switchers were the first to combine scalability with high density and rank the most reliable in the industry. Our applications engineers are available to assist with system design before you buy. Our technical support staff will answer your post sale questions on installation and maintenance. We offer training programs at all skill levels to teach your staff everything they need to know about installation and configuration. has established itself as a security benchmark: a leader in product design and manufacturing of a complete range of intrusion security and fire alarm control equipment and accessories. Experience, technology, market responsiveness and extensive research have made Bentel the brand of choice among customers wishing to ensure the highest level of protection for families, business people and property. Hundreds of thousands of Bentel security & fire systems are in use around the corner and around the world. These include installations in hospitals, banks, manufacturing facilities, shopping centres, public buildings, museums and in residential applications far and wide. 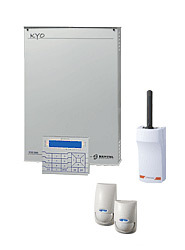 Products include security and fire control panels, keypads and other user interfaces, security programming software, alarm communication receivers, GSM/GPRS communicators, telephone dialers, alarm sirens, smoke detectors, motion detectors, glass-break detectors, analogue sensors, addressable devices, call points, power supplies, accessories and batteries. CEM's culture is to remain at the cutting edge of access control technology through the design and development of high quality solutions that meet the unique needs of customers. CEM Systems is a leading provider of advanced access control and security management systems. Originating from a computer background and with over 20 years of experience in the IT & Security industry, CEM Systems are unique in that they cater for all sizes of installation, from small office buildings to large multi site installations. 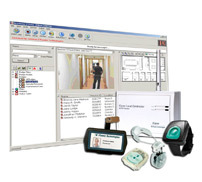 CEM solutions include access control, ID badging, alarm monitoring & system integration. As one of the few manufacturers that design and produce all their own hardware and system software, CEM can fully customize solutions through software development and continuous development of hardware to incorporate the very latest technology. A culture of support excellence ensures that CEM customers are provided with the highest level of pre-sales support, project management and training services, as well as technical support for ongoing post installation enquiries. Since 1998, CONNECT 24 has been activating and administering cellular and GSM devices for security alarm dealers in the U.S. and Canada. 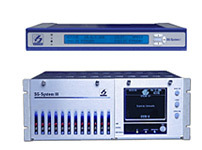 All DSC GSM Communicators (TL-260GS, TL265GS, GS-2060, GS2065,GS3055-ICF, and GS3060) are activated and programmed via Connect 24's Web site or through Connect 24's VRU (Voice Response Unit). The Connect 24 website provides customers with a secure interface where they can activate, edit and deactivate accounts, retrieve devise status and program or modify communicator options. 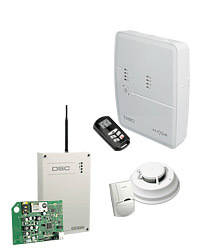 DSC is a world leader in electronic security. From our revolutionary control panels, to our industry leading IP alarm monitoring products and now to our sleek, contemporary self-contained wireless panels, DSC has always been front and center in the security space. DSC puts forth an unbeatable combination of leading-edge technology and industry experience. The results are RELIABLE, FLEXIBLE, DURABLE security solutions of the highest QUALITY that are easy to install, easy to use, and are easily UPGRADEABLE. It's simple. We know this space better than anyone. And we have for over 30 years. So, when you need exceptional security products that work when it matters most, look to DSC. Since 1993, Elpas, with its established product lines, has been manufacturing advanced Triple Technology Active RFID (Radio Frequency Identification) / RTLS (Real-Time Location Systems) and Passive RFID Safety, Security and Visibility products and solutions. Our mission is to deliver safety, security and visibility solutions that are simple to use and are effective in their operation. These solutions are backed by VT professional services personnel from offices in North America, EMEA and APAC and by a range of training and post-installation consulting offerings developed specifically to help our customers get the most from their security investments. Our solutions are the most cost-effective way to protect and manage high-value assets, staff members, patients and visitors in acute care hospitals, senior living centers, correctional facilities, offices and high-security museums. Exacq Technologies is a leading developer of open architecture, cross-platform, Video Management System (VMS) solutions for video surveillance applications. 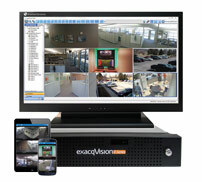 Our exacqVision VMS is scalable from a single camera to an enterprise-class system with thousands of cameras. Live and recorded video can be viewed, managed and configured from any location via a computer or mobile platform. The VMS server software is available on factory-installed exacqVision servers or commercial off-the-shelf servers. The freely distributed exacqVision client software is available for Windows, Linux and Macintosh while the free web service allows for the use of a browser-based client and the free Exacq Mobile app for most smartphones and tablets. exacqVision's open architecture ensures interoperability and rich integration with the industry’s leading IP cameras, access control systems, retail/POS solutions and storage solutions. exacqVision VMS solutions meet the stringent requirements of schools and universities, healthcare, banking, retail, manufacturing, distribution centers, transportation, construction and homeland security. Learn more about Exacq at www.exacq.com. 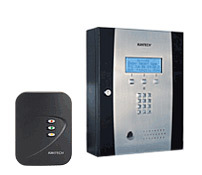 Kantech offers a full suite of feature rich and cost effective access control products that are reliable, easy to install and fully scalable. Nothing is more vital to the health of an organization than making sure that its people, material assets and operations are safe and secure. Access control addresses the full scope of risks that might arise, including risks that other security systems such as burglar alarms and intrusion detection simply are not designed to handle. By preventing people from entering places where they do not belong, access control protects against theft as well as liability and disruption to your operations. Access control can also integrate with other security and operational systems to give you a comprehensive, cohesive management tool. Software House technologies are currently installed in more than 5,500 installations worldwide, touching all vertical markets. Over 170 of the Fortune 500 Companies use C•CURE. Software House has established itself in the security industry as an innovator by being the first company to apply sophisticated database management software to access control and security management systems. At a time when most security companies focused on selling hardware, Software House identified and developed a market niche for sophisticated software-based computerized solutions to manage and integrate diverse security hardware devices. 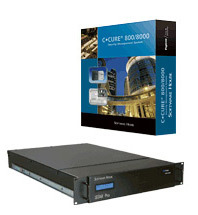 Software House solutions include the innovative C•CURE 9000 security and event management system and the flagship C•CURE 800/8000 access control solution. We continue to offer complete solutions, providing products that increase efficiency and fit any budget while maintaining the same high standards for performance and quality. Our warranties are the most comprehensive in the business. You will receive full support throughout the entire life cycle of each product. 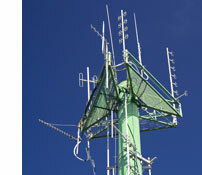 Central Monitoring Stations worldwide have made Sur-Gard the brand of choice for alarm receiving equipment. This recognition comes from decades of experience in the engineering, manufacturing, service and support of central stations receivers. Sur-Gard is known as the number one brand for receiving equipment with numerous patents and awards for innovation and leadership giving it a strong competitive edge within the industry. Sur-Gard products cover a range of applications from proprietary applications requiring reception of a couple of accounts through to full central monitoring stations with hundreds of thousands accounts using "Virtual" receivers with automatic redundancy. Sur-Gard is committed to supporting our customers as they grow their businesses by helping them understand and incorporate new technologies and services. Visonic is a world leading developer and manufacturer of high quality wireless intrusion alarm and safety systems and components. The company's dedication to innovation and its numerous technological breakthroughs over the past years have resulted in pioneering wireless security solutions. 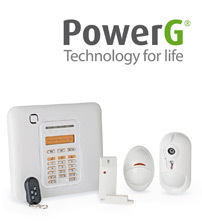 Our expertise in wireless intrusion alarm systems lead to the development of a revolutionary radio technology—PowerG®— which redefines wireless intrusion security and reliability. Visonic's PowerG-based products provide the answers and solutions to the demanding requirements facing the security industry today as well as the challenges of tomorrow. When you are in need of a wireless security system that delivers exceptional robustness, huge range, and extraordinary ease of installation, turn to Visonic.